CHADWICKS , a member of the Clondalkin group, will be displaying its full range of pre-cut lidding solutions for the food and beverage industry on Stand 535 at Auspack. Now employing some 150 people at its production facilities in the UK, Chadwicks has 60 cutting presses (the highest in Europe) and more than 300 cutting tool sizes. UV flexo printing offers the highest quality decoration. Chadwicks prides itself on "problem solving", innovation in new materials coupled with technical back up and support. Exporting to some 40 countries around the world with Australasia being the largest market outside the UK. 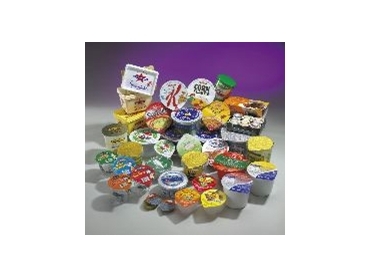 Also exhibiting on the Chadwicks stand will be sister company LPF Flexible Packaging. LPF based in The Netherlands will be presenting clear high barrier lidding film, susceptor laminate and other niche packaging concepts.